As reported in a recent article by Radio Taiwan International, a survey conducted by the King Car Education Foundation has revealed that a large majority of Taiwanese high school and university students are unable to name even one prominent Taiwanese artist. The purpose of the poll was to measure an awareness of, and interest in the arts, and to look at how much young people participate in arts-related activities. When asked to name “three well-known Taiwanese artists”, 70.85 percent of respondents could not think of even one name. Of those who were able to name an artist, the most popular responses included Cloud Gate Dance Theatre founder Lin Hwai-min, sculptor Ju Ming and painter Shiy De-jinn. The article also notes that the survey reported a low participation rate in local art events and activities for Taiwanese students. 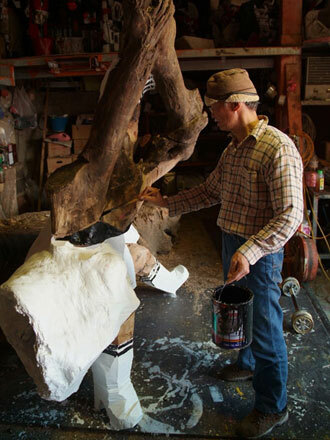 A recent article published in Taiwan News profiles three highly influential Taiwanese sculptors, old generation artists Yang Ying-feng and Ju Ming, and contemporary craftsman Pu Hao-ming. These sculptors have contributed much to art in Taiwan and helped to advance it from “carvings of religious figures and decorative pieces for temples” that once dominated the cultural output of Taiwan prior to the 1920s. This internationally renowned sculptor was born in Yilan, Taiwan, in 1926 and decided to become an artist early in his life. In 1943, he studied architecture in Japan at the Tokyo Fine Arts School. He won his first award in 1953 for his piece Sudden Rain. 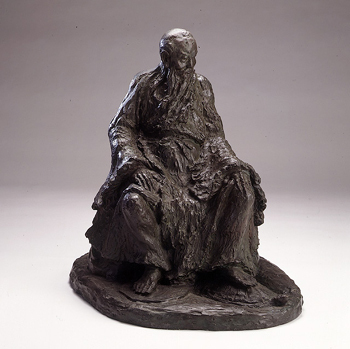 A Buddhist sculpture entitled Higher When You Look Up was exhibited at the 1956 Sao Paulo Art Biennial and collected by the Taiwanese National Museum of History. It was around this time he began to use stainless steel in his work. He studied modern sculpture in Italy and in 1970 exhibited at the Expo’70 in Japan. Yang Ying-feng died in Taiwan in 1997. He learned the art of woodcarving at 15, studying under Lee Chin-chuan, a master craftsman renovating a temple near his home. 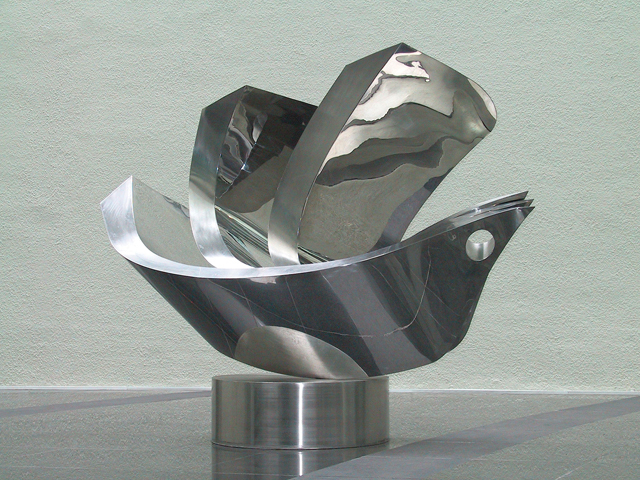 Ju Ming’s first solo exhibition was held in 1977 at the National Museum of History in Taiwan. After this came his two major works: Taichi Series, which he showed at his first overseas exhibition at the Tokyo Central Art Museum in 1977, and Living World Series, which was developed in the 1980s during travel to America. 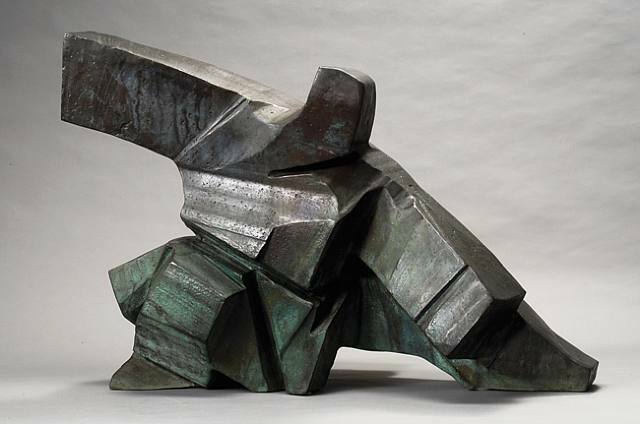 Ju Ming achieved international success during the eighties and nineties: “his creations have successfully transformed him from a traditional craftsman and artist into a master sculptor at home and abroad.” Most recently, he received an honory doctorate of art from Fu-jen Catholic University. There is a sculpture museum, Juming Museum, located in Taipei, Taiwan, that is dedicated to the showing of Ju Ming’s work. Born in Chiayi City, Taiwan, in 1944, Pu Hao-ming is the son of Pu Tien-sheng, “one of the most influential scupltors in the history of Taiwan art.” His father privately tutored him until he entered the Chinese Cultural University in 1963. Pu travelled and studied in Europe from 1980 to 1983 where his works (as well as his father’s) were selected for numerous Salon Exhibitions in Paris. He returned to Taiwan and his most celebrated works from 1983 to 1995, including Female Rider, Fu Hsi Shih and Flower of Life, were collected by the Taipei Fine Arts Museum and the Kaohsiung Museum of Fine Arts.